The BWAA’s reigning Fighter of the Decade and three-time Fighter of the Year, Pacquiao, considered a national treasure, hails from Sarangani Province in the Philippines. He is the only sitting Congressman and Senator to win a world title. After serving two terms as Congressman, Pacquiao was elected to a Philippine Senate seat in May 2016, capturing over 16 million votes nationally. Pacquiao’s boxing resume features victories over at least seven current and future Hall of Famers, including Oscar De La Hoya, Ricky Hatton, Marco Antonio Barrera, Erik Morales, Miguel Cotto, Shane Mosley, and Juan Manuel Marquez. In his last fight, with Philippine President Rodrigo R. Duterte and Malaysian Prime Minister Mahathir Mohamad in attendance (the first time two heads of state attended a championship boxing event), Pacquaio regained the welterweight title for a fourth time with a vintage performance on July 15 at Axiata Arena in Kuala Lampur, Malaysia, by knocking out defending WBA champion Lucas Matthyssee in the seventh round. 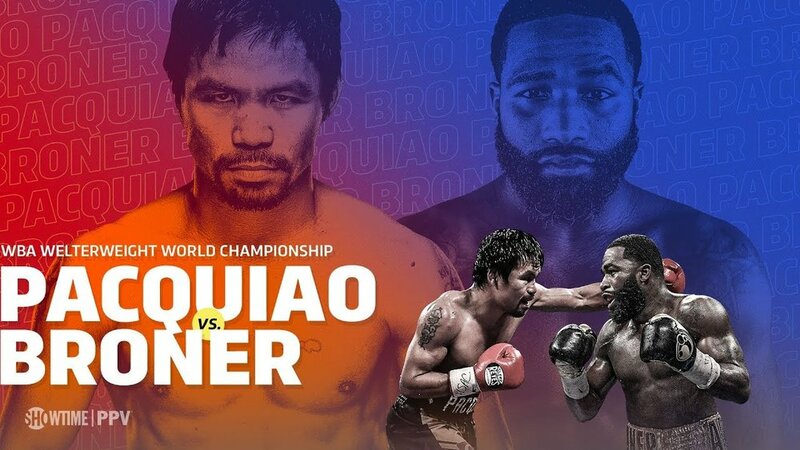 Promoted by MP Promotions, Mayweather Promotions and TGB Promotions in association with About Billions Promotions, remaining tickets to the Pacquiao vs. Broner welterweight world championship event are priced from at $100, not including applicable service charges, and can be purchased online through AXS.com, charge by phone at 866-740-7711 or in person at any MGM Resorts International box office.